On September 22, a court will begin listening to evidence against a number of ex-military officials charged with crimes against humanity, including kidnapping, torture and murder, committed at the Monte Peloni detention center in Olavarría, Argentina. The officials on trial are: the local commander, Ignacio Verdura; Chief of Intelligence, Walter Grosse; Officer Horacio Leites; and Sub-Officer Omar Ferreyra. The central quarter of the Argentine city of Olavarría, with its leafy main square, whitewashed church, and historical architecture, merits its National Heritage status. Thanks to mineral extraction of the rock on which it stands, Olavarría is a prosperous and tranquil place, and home to the social science and engineering schools of the University of Buenos Aires Province. Now, however, this seemingly pleasant city has become the latest battleground in Argentina’s ongoing struggle to bring justice to those guilty of crimes during the military dictatorship of 1976–1983. Olavarría, a city of around 100,000 inhabitants, is the setting for the upcoming trial of several ex-army officials accused of human rights abuses during the dictatorship. A high level of public interest surrounds the proceedings, due to one of the defendants’ alleged involvement in a case which has dominated national media in recent weeks. In early August, the human rights organization Grandmothers of the Plaza de Mayo announced that the long-lost grandson of its president Estela de Carlotto had been identified and was living in Olavarría under a different name. Guido Montoya Carlotto had been taken from his detained mother in 1978 when just a few hours old, one of hundreds of babies born in captivity and then raised by families linked to the military authorities. In most cases, their biological parents were murdered by the military. The Grandmothers of the Plaza de Mayo have campaigned since the 1970s to reunite the stolen babies with their natural families and to expose the guilty parties. The recent news, a welcome dose of positivity on front pages of the country’s newspapers, has received intense media interest. Estela de Carlotto is highly-respected within Argentine society for her tireless campaigning as president of the famous headscarf-wearing Grandmothers. But, as the story has moved on from its initial feel-good element, there are now many questions over who was responsible for taking Guido from his mother, Estela’s 22-year-old daughter Laura Carlotto, who was killed soon after giving birth. The father, Walmir Montoya, abducted alongside his pregnant partner, had been murdered several months earlier. The spotlight has shifted to Olavarría, location of the impending trial and the city in which Guido Montoya had lived until recently as Ignacio Hurbán. Although the trial date was set several months ago, it is now alleged that one of the accused participated in the transfer of Laura Carlotto’s baby to an adoptive family. Laura, who was handcuffed to a stretcher throughout the entire labor and birthing process, spent only a few hours with her newborn before being returned to her cell at the La Cacha detention center in La Plata. On September 22, a court will begin listening to evidence against a number of ex-military officials charged with crimes against humanity, including kidnapping, torture and murder, committed at the Monte Peloni detention center in Olavarría. The officials on trial are: the local commander, Ignacio Verdura; Chief of Intelligence, Walter Grosse; Officer Horacio Leites; and Sub-Officer Omar Ferreyra. All of them are currently serving sentences for earlier convictions. 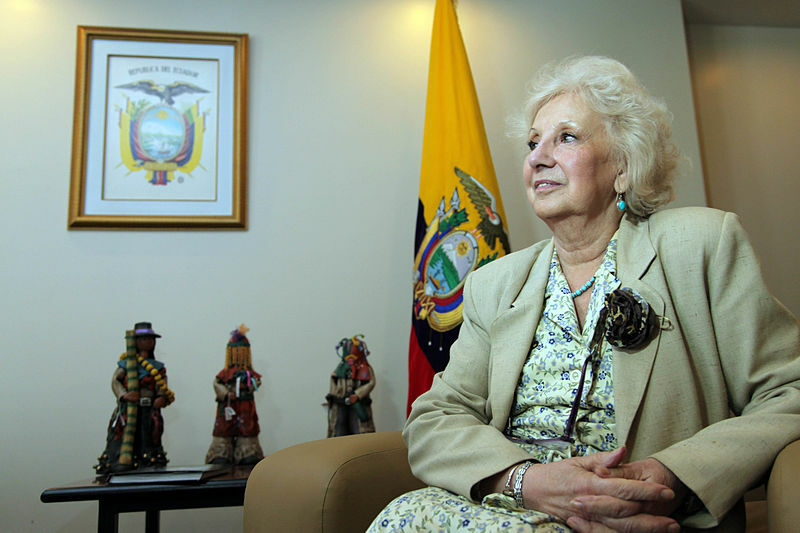 While the trial is not directly connected to the removal of the Montoya Carlotto baby, it is suspected that Verdura was involved in the appropriation of babies. 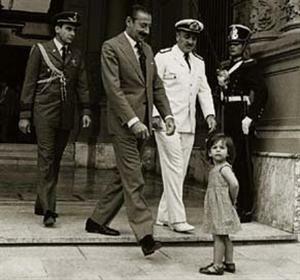 For the last few years, the Grandmothers of the Plaza de Mayo have claimed that an Olavarría businessman, Carlos Francisco Aguilar, acted as an intermediary between the military and adoptive families. 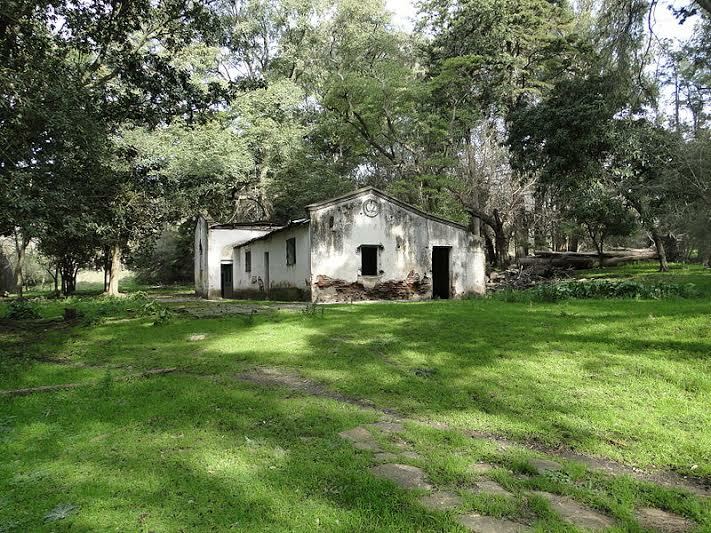 Aguilar, who died earlier this year, owned the land on which Guido Montoya’s adoptive parents worked and was known to have strong links to the armed forces and the church. As a wealthy landowner, he moved in the same social circles as high-ranking military figures, such as Ignacio Verdura, the then-chief of the regional 2nd Tank Regiment. Throughout the 1970s, Olavarría was a site of left-wing militant activity, which brought the city to the military’s attention. State repression began with worker organizations before targeting the lawyers representing them, and later moving on to the student movement. Those who felt the heavy hand of the state included striking workers at the Loma Negra (Black Hill) cement company. The company’s response to the strike was to call in the military to end the dispute with detentions and other suppressive tactics. Carlos Moreno was a lawyer who represented the Loma Negra workers. He was detained in Olavarría and tortured before being killed in May 1977. A trial in 2012 exposed links between the military and civilians who had allowed their property to be used for detaining prisoners. The trial also ordered an investigation into the role of Loma Negra, whose president was Amalia Lacroze de Fortabat, one of the world’s wealthiest women until her death two years ago at the age of 90. Speaking to the Página 12 newspaper, Moreno’s son Matías said companies such as Loma Negra reaped the benefits of military rule. He also revealed that Commander Verdura lived next-door to the Moreno family. Any neighborly recognition, however, was irrelevant when it came to the military eliminating its opponents. The Monte Peloni detention center, where the majority of those detained in the zone were held, was a farmhouse in the countryside near Olavarría. Several prisoners, many of whom remain disappeared, passed through the center, which was administrated by the 2nd Tank Regiment of Ignacio Verdura. Among the crimes that Verdura and his cohorts stand accused of are the disappearance of a young couple, Isabel Gutiérrez and Juan Carlos Ledesma, the detention of Isabel’s father Francisco Gutiérrez, and the murders of Jorge Oscar Fernández and Alfredo Serafín Maccarini. The latter was a prison guard whose rumored empathy for political prisoners made him a target for the military. Another ex-prisoner, Lidia Araceli Gutiérrez, who was raped and tortured in Monte Peloni, is to give evidence at the trial. The Olavarría trial is the latest step in the legal battle to hold those involved in the abuses of the dictatorship accountable. As many as 2,000 people connected to the dictatorship have been accused of complicity in abuses, as, according to Human Rights Watch, Argentina has made “significant progress in prosecuting military and police personnel for enforced disappearances, killings and torture during the country’s ‘Dirty War.’” Yet the fact remains that a great many of those who willingly participated in dictatorship abuses have yet to answer for their crimes. The stealing of babies from people who were subsequently killed continues to be a matter of great sensitivity, as the majority of stolen babies are now unidentified adults living normal lives in Argentine society. The Guido Montoya case was the 114th positive identification of a baby forcibly removed from its biological parents. However, it is estimated that there are hundreds of other citizens now approaching middle-age with little idea of their true identities. For families of the disappeared, the discovery of lost relatives can serve as an act of closure for their longstanding grief. Having spent decades dwelling on the past, they are finally able to look ahead. As Argentina continues to come to terms with the traumas of military rule, stories like the Carlottos’ provide inspiration for the justice movement to keep fighting. Yet, this is a journey that is unlikely to ever be fully resolved. The entrenched political system of brutality and repression was too widespread to hold all the guilty to account. But each small step signifies progress. Many will be closely watching the Olavarría trial in the hope that Argentina continues on its path toward redemption. Nick MacWilliam is a British freelance writer and editor based in Buenos Aires. 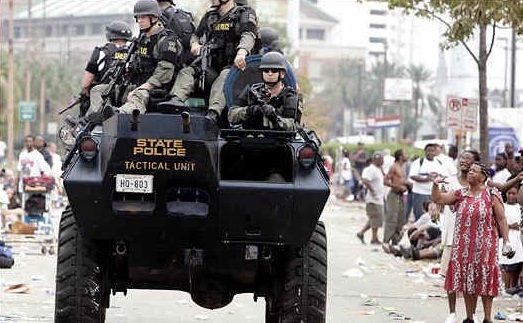 Violencia Excesiva: El Pentágono militarizó las fuerzas policiales de EE.UU.